Whether tinkering with tech or blowing your mind with science, 27-year old James Young is an engaging communicator and passionate filmmaker. As a double amputee, James turned to bionics with the same excitement and fascination he’s always had for future-gazing tech and fun-filled gadgets. 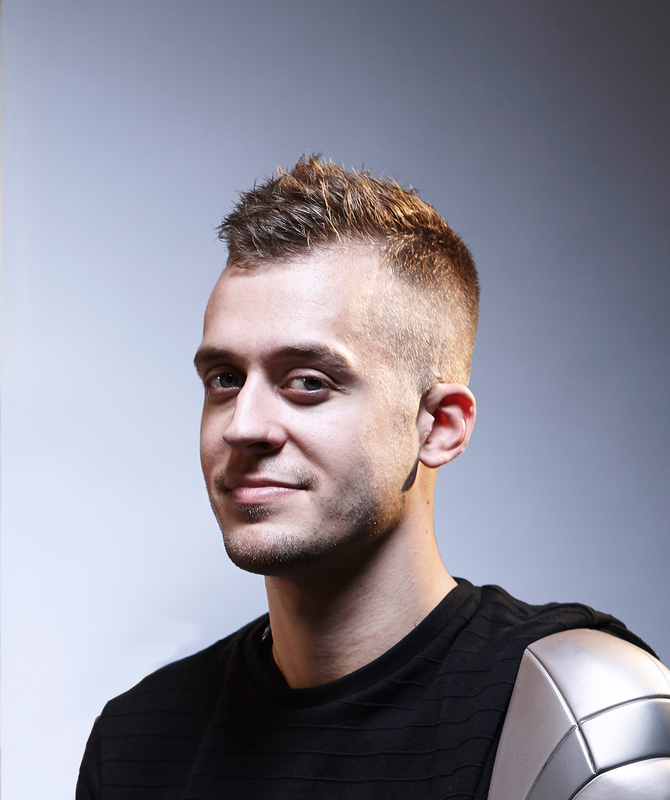 Since his accident five years ago, he has worked with Japanese gaming giant Konami to personally design and develop his own advanced bionic arm – earning himself the nickname Metal Gear Man. With natural charisma, curiosity and charm, James has turned to filmmaking to unearth more about the science of the future. He’s travelling the world to tell his unique story, he’s out to discover how our lives will all soon change with mind-blowing advances in cutting-edge technology In ‘Can Robots Love Us?’ available on BBC iPlayer and YouTube, James investigates how robots are being developed to engage with us on an emotional level and explores the limits of the human-robot connection. Follow him on twitter for future announcements regarding project progress & events, or DM and say hi!